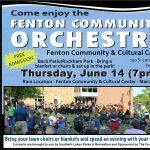 The Fenton Community Orchestra’s purpose is to provide a place for musicians of all ages to connect through music by providing an educational and entertaining music program both for its members and its audiences. 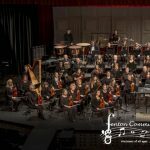 FCO seeks to promote mutual growth and understanding through the experience of musical performance. Membership is open to musicians from age 10 and up, provided they have the desire to play and learn together. 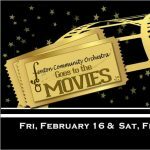 FCO now has three performing ensembles: Full Orchestra, Simply Strings and FCO Wind Ensemble.